Yeah, yeah, I just got back not too long ago, but hey I love it there! As a blogger, you kind of “work” almost all the time, staying connected with brands and your followers is really important. Sometimes we are in a hard position because, we want to share with you guys errrrthang but also, sometimes this takes away from the moments during your leisure trips. Not to mention the over packing part, which can get cray, cray! 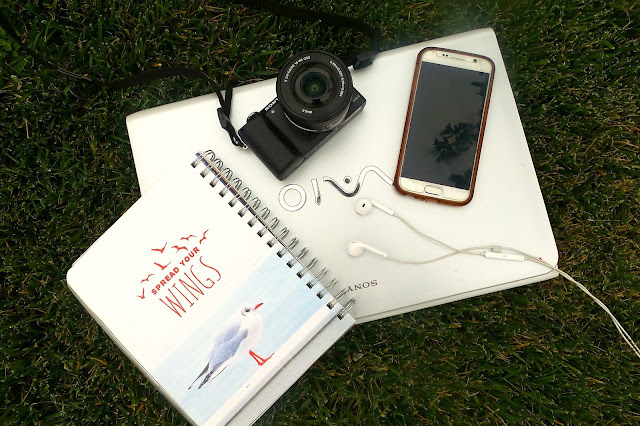 I am sharing with you guys, what are my must have tech essentials for my trips, weather is business or leisure this are the things I bring with me. This is my number one tech must have. A good quality camera and not so bulky is major for us bloggers. This another must have, weather you’re responding to emails, checking out social media or even Netflixing while you wait to board your plane. Also this phone has never failed my photos, I love how great the camera is! Because there is nothing worse than when you are so close to people and either they are watching, listening to something so loud, we must always carry this! Editing, writing is kind of uncomfortable to do on your phone. A laptop is another main Tech essential you must bring for your trips. I purchased this planner with inspirational quotes! I am NOT the greatest planner, but I try to get into this habit. It also helps me to note down any sudden ideas or important things I need to write down. Yes, there are tons of apps in our phones but there’s nothing like the actual touch of paper. As mentioned before, I like to keep it simple because it can get a little crazy carrying a lot specially when you travel with kids too! 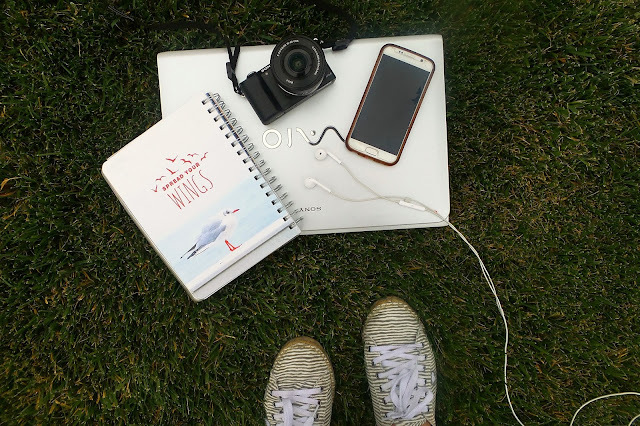 What are you must have Tech essentials during your trips! Share below, I’d like to know!